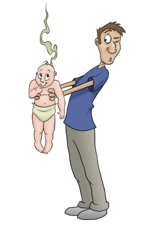 An estimated 158,000 men are stay-at-home dads whose wives support the family financially. 1) How to change a flat tire and check the oil in her car. 2) How to drive a stick shift and ride a bike. 4) How to bait a hook. 5) To have a sense of humor. 6) Patience. She is going to need it in her future dealings with men. 7) How to tip correctly and well. 8) She is beautiful just the way she is and she is loved. 9) To play and be passionate about a sport. 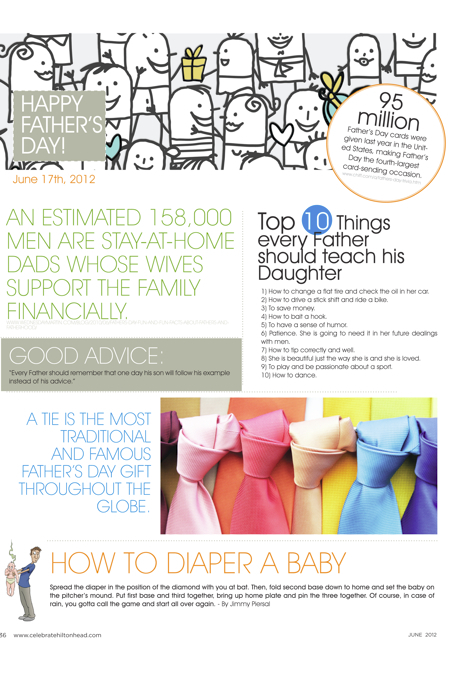 A Tie is the most traditional and famous father’s day gift throughout the globe.